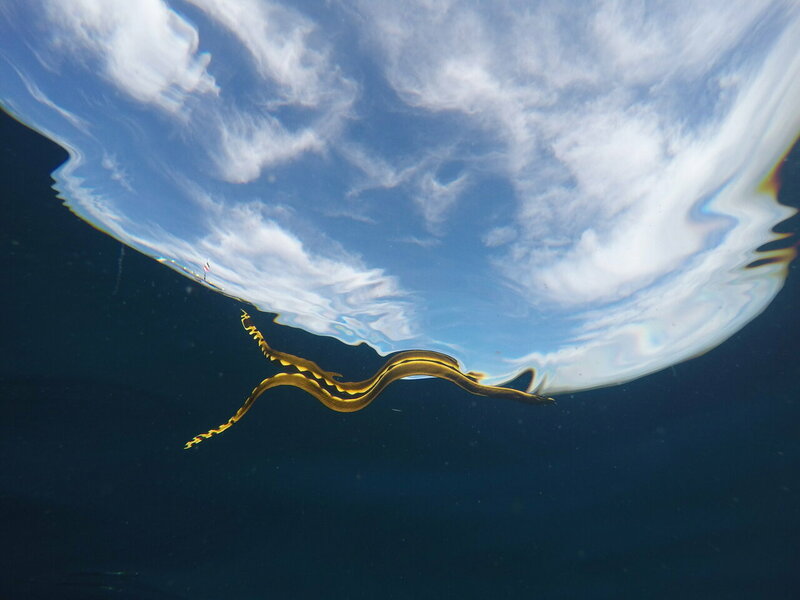 Surrounded by salty water, sea snakes sometimes live a thirsty existence. Previously, scientists thought that they were able to drink seawater, but recent research has shown that they need to access freshwater. 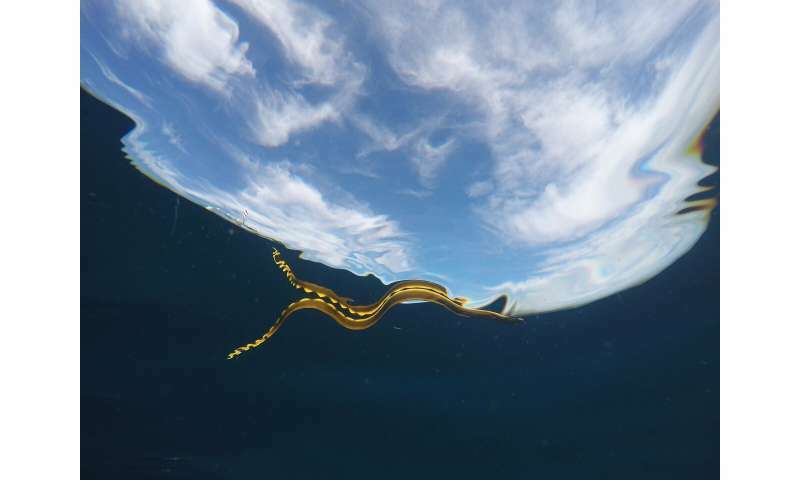 A new study published in PLOS ONE on Feb. 7 and led by Harvey Lillywhite, professor of biology of the University of Florida, shows that sea snakes living where there is drought relieve their dehydration as soon as the wet season hits, and do so by obtaining freshwater from "lenses" that form on the surface of the ocean during heavy rain—events in which the salinity at the surface decreases enough for the water to be drinkable. The study continues many years of work by Lillywhite. The present paper was coauthored by Mark Sandfoss, Lillywhite's current Ph.D. student, Coleman Sheehy, his former student who is now the Collections Manager in Herpetology at the Florida Museum of Natural History, and then-Fulbright visiting scholar Jenna Crowe-Riddell.